The deadlift is one of the foundational movements you NEED to know. 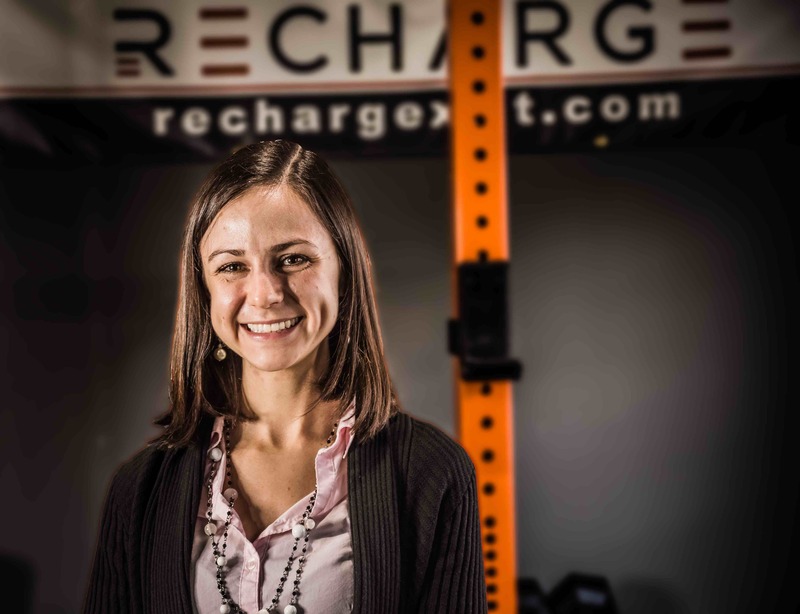 Let’s breakdown the deadlift with the Recharge Anatomy of movement. Strength training for the longest time was viewed as debilitating to your mobility and even worse, bad for your heart ?. The deadlift is comprised of one of the most fundamental movements, the hip hinge, which is essential for all of us to learn how to use our posterior chain (glutes, hamstrings, and back muscles) to pick up heavy objects. The video shown is of a barbell deadlift, which in my experience is much easier than the couches or refrigerators that I’ve helped friends move in the past! 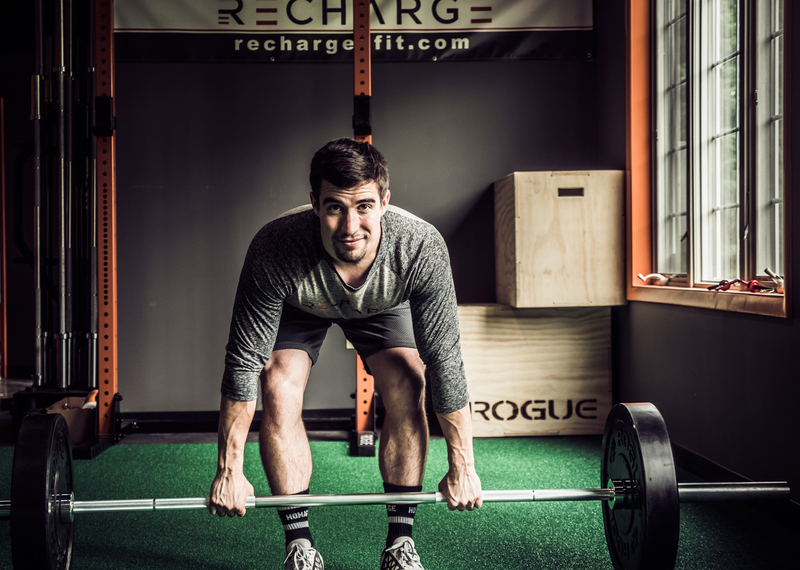 At Recharge|HoCo CrossFit we train the barbell deadlift in a rather specific way with certain points of performance because our goal is to train the body to increase it’s strength and capacity. Doing this allows you more wiggle room to lift the awkward furniture without the belief that you may hurt yourself. The body is amazingly resilient and adaptable but it helps to train it in a way that allows your body, and yourself, believe that it is so. Knees should be only slightly bent, most of the movement should come from “hinging” at the hips. As you hinge over, you’ll find yourself reaching down for the bar with hands a little bit wider than shoulder width, feet in between that grip width. From here the goal is to push your hips slightly up and back to create tension, or a stretch, in your hamstrings depending on your level of mobility/flexibility. After that you’ll notice you may be sitting way to far in front of the bar or way too far behind it. The goal is to have about your armpit sitting in line with the barbell. At this point your position is set up and now the goal is to focus on creating tension by actively pulling the bar towards your shin and up without actually pulling it. Doing this allows you to prep the body to actually pull up the weight. This ideal technique set up and creating tension allows for the body to naturally utilize the posterior chain that makes it feel effortless (from a technique standpoint, maybe not from an effort standpoint). So the deadlift is all about the set up from the bottom and if set up will naturally have you pull the weight up. One we need to initiate the lowering of the bar with the hip hinge. This will involve your hips shooting back first and keeping tension in the bar. The bar path on the way down should stay as close to your body as possible, the straighter the bar path, the more efficient and effective your deadlift lowering will be. Last, as the bar travels to your knees and begins to lower allow those knees to bend so as not to compromise the positioning in your spine to get there! Overall the barbell deadlift is vital to train your body (and mind) to be resilient by increasing it’s capacity to do work. This allows you to feel comfortable lifting awkward objects throughout the entirety of your life because your body is equipped to do so through your training. The deadlift technique comes into play in training and it revolves around the set up and creating tension. Do this, train this, and you will yield strength results you wouldn’t know you had in you!